I love cemeteries. There is something so peaceful and lovely about them. And then there is the reading of headstones. As a writer, I wonder about the stories of the individuals that lie below the earth. Each human has a different story to tell, some were extraordinary, others quiet and mundane. But each one is a story and the possibilities send me into storyland. My husband has a bucket list of graves he would like to visit. Some of them have already been achieved. 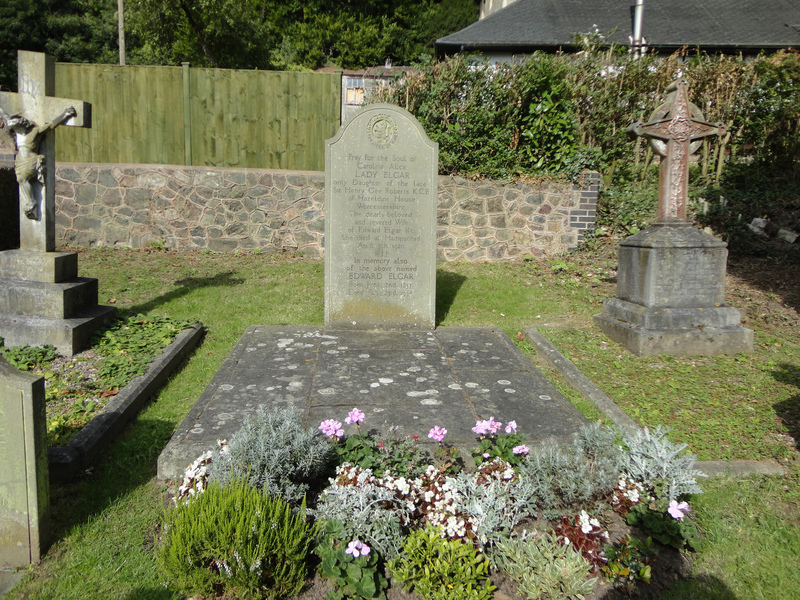 For instance, when we were in England in 2012 we sought out the birthplace and final resting place of Edward Elgar, the famous English composer. 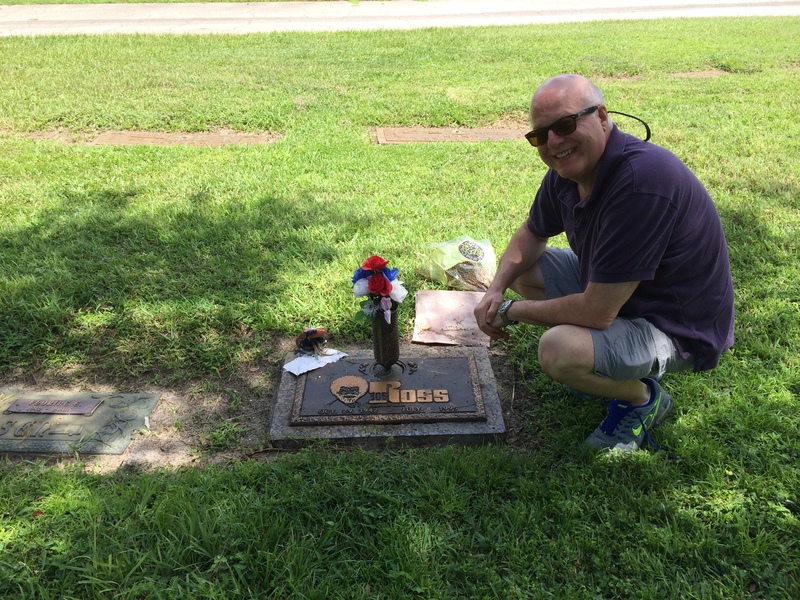 Last summer on our way to Franklin, NC, we made a side trip to Gotha, Florida where another hero of my husband’s was laid to rest: Bob Ross. Bob Ross is buried under a happy little tree. We’ve seen other graves too: there was a man named John Pendelbury who was instrumental in organizing the Greek resistance during WWII. He had a glass eye and used to leave it on his work table as a clue he was going to talk to the rebels in the hills. He was in a lovely military cemetery on Crete that we visited in 2014. Poor man was captured and shot by the Germans when he was just in his 30’s. Then of course, we have new graves to look at this summer. Vienna will be chock-a-block with famous composers: Beethoven, Haydn, and my husband’s all-time favorite Brahms. The funny thing is, I can’t think of a burial bucket list myself. It makes me wonder why I don’t have heroes to whom I would pay homage. I guess I’d like to see Audrey Hepburn’s grave in Switzerland, and perhaps Jane Austen and Charlotte Bronte. My husband’s passion for music is so huge that seeing these graves is a big thing. I’ve seen the graves of Michelangelo, Queen Elizabeth I and Mary Queen of Scots. That was really neat. But to me, there is something much more fascinating in the unknown rabble of people buried beneath the stones of church floors and in crypts. Their stories, while not known to me, have endless possibilities of stories. Perhaps the grave I would like to visit most would be that of my grandmother, buried on a hill overlooking the town of Carver, Minnesota. I haven’t been back since she passed in 2010. She’s the hero of my life, and I can’t think of any other famous person who measures up to her. My burial bucket list only has one person on it: Douglas Adams! He’s buried at Highgate Cemetery along with some other famous folk but I definitely want to visit his.